Free baby poems, verse, rhymes, baby to be wishes. Baby shower sayings, baby boy and girl messages, baby shower invitation and thank you. Baby poetry can say a variety of things. Here's a long rhyming poem, a new baby message that captures the magic of parenthood. This verse for baby is a bit long to fit on a baby card, but you could print this baby message, frame this baby rhyme and give it as a baby gift. So your baby is here! What joy and what pleasure! To make room for this treasure. And she'll rule over all. ‘Cause it's all so much fun. You'll start "aahing" and "oohing,"
By "ga ga" and "goo gooing." She'll look only to you. That a new baby brings. Baby poems convey the happiness that comes with bringing a new life into the world. Attach this baby verse to a baby gift to make it extra special or use this baby poem as a baby card message. Since your little miracle came. And bonds time will never erase. Use these poems for baby for cards, gifts, shower invitations, thank yous, announcements, more. These baby verses and rhymes convey your congratulations message. Looking for a short baby congratulations message? 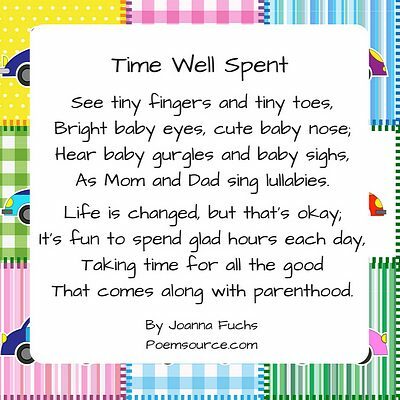 This baby poem is short and sweet, a perfect baby card message. And that's reason enough for a great fanfare. Baby poetry and baby poems are often meant as a baby card messages, as this poem for baby is. More Baby Messages: There's a Baby's First Birthday Poem on the Birthday Poems page. Baby poems should convey the joy new parents feel. This baby poem is a baby congratulations message that includes a note of realism about lack of sleep! And sleep has become a "maybe!" Babies are amusing by nature, so here's a funny baby poem that would be perfect next to a scrapbook baby photo. It's a newborn baby message to make them smile. Have a voice that's loud as thunder? You just open your mouth and cry. Then you were up on your feet. We're tired; we need a retreat! Is in the baby we adore. If we didn't love you as we do. You're a unique and wonderful treasure. Being your parents is a total pleasure! Poems for baby can be short or long. Here's a short baby poem perfect for a baby congratulations message. You're staring adoringly; you love him/her a lot. Congratulations! Good Work! Let's all give a cheer! You're baby will get cuter with every year! Baby poems can be baby rhymes or free verse This rhyming poem is perfect with a baby gift or as a baby card message. For it got its life from quite a pair! It's from you two, and you're both a pleasure. You'll be good parents in all you do. Enjoy your baby and have great fun! This free verse baby poem and message is short enough to hand write inside a baby card. by all who come after. Looking for new baby girl wishes, words and phrases in the form of baby poems? Here they are! Baby poems are in demand! When your friend has a baby girl, you need a baby girl message, maybe in a baby poem or a baby girl saying. Baby poetry for girls is always sweet and affectionate, as this baby girl poem is. It's perfect for a congratulations on a baby girl card. It's a baby girl rhyme. How to play life's game and come out winning. Will reel you right in; that's the way of girls. It's all calculated to make you care. She'll play baby poker, and the jackpot is you! So spend lots of time with your little treasure. Every collection of baby poems should include a baby girl poem for the proud new parents. Tie this baby girl rhyme to the baby gift with a pink ribbon! It's a cute, sentimental baby girl message or baby girl saying with baby girl wishes, words and phrases designed to touch mom's heart. To a comical fool just trying to please her. The adorable smile of your baby girl. Cherish each moment while she's still small. Collect sweet memories for later recall. You'll wonder where the time has flown. Baby girl poetry should capture the essence of tiny femininity, as this baby girl verse does. It's also a baby girl saying. You could use this baby poem in a congratulations for a baby girl card. This baby girl message, with its baby girl wishes, words and phrases, is in free verse. than any amount of money can buy. This free new baby poem is designed as baby poetry to be put on a card. It's a baby girl poem that's also a baby girl message, wish or saying. Rhyming poems are popular, so this one is a baby rhyme. Nothing else can quite compare. With your little girl, your precious treasure. Baby verses and poems for baby can be focused on either a boy or a girl baby. This is a poem for a baby boy. It could be used in a congratulations on a baby boy card. You're in for it now; boy, oh boy! Full of baby boy coos and mischievous grins. To get your attention...your baby boy. His boyish adventures will never be done. He'll be grown in a moment, your cute baby boy. Baby poems should include verses for both boys and girls. Here's a baby boy poem for your baby poem collection. Tie this poem for a baby boy to the baby gift with a blue ribbon! It's a baby boy congratulations poem. He's just what you wanted--your boy, your son. Baby poems for boys are popular. 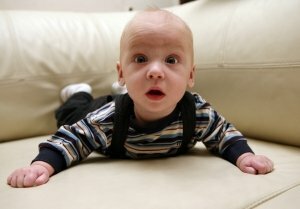 Here's a new baby boy poem that lets parents know they're going to become kids again! You can use it as a congratulations for a baby boy card. It's a poem for a baby boy that fits easily on a vertical card, but if you have a horizontal card, you can combine each two lines into one line, so that each line rhymes with the next. Comes out more every day. Congratulations on your new treasure! Baby poetry is in demand for new baby announcement messages. This baby poem is designed as a baby announcement poem for a boy. Is a new baby boy. Baby shower poems, messages, wishes, sayings, and verse are in demand. Here are two baby shower thank you poems. If you want a longer baby shower or baby gift thank you, just combine the two poems into one two-stanza poem. You'll also see a baby shower card message to go along with a baby gift, and a baby shower invitation poem. I know that I will use it. And the time you took to choose it! Seeing you is always pleasant! Here's a baby shower poem to attach to a baby gift. And I'm glad I got invited. I hope you'll be delighted! Here's a baby shower invitation poem with an invitation from...the baby! I'll soon be here to meet you! To help my mom prepare. Of her baby--Hey, that's me! 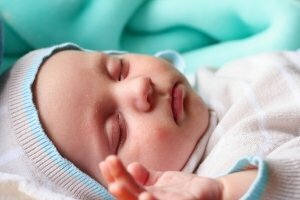 There are a lot of searches for prayer for a new baby or new baby prayer. Baby poems can include a prayer for a newborn baby, a baby prayer poem, like this one, which prays for the Lord's love and guidance. This is a Christian prayer for a newborn baby. Of course, you'll change "he" and "him" to "she" and "her" if the baby is a girl. Send him blessings from above. To honor You with reverent praise. But protect him always from evil's harms. Let Your Word be his mind's castle. A Christian's ways he'll demonstrate. May his goodness make Your case. That You'll make this boy your own today. There are more than 800 poems at this site. Access all our poems from our SITE MAP.